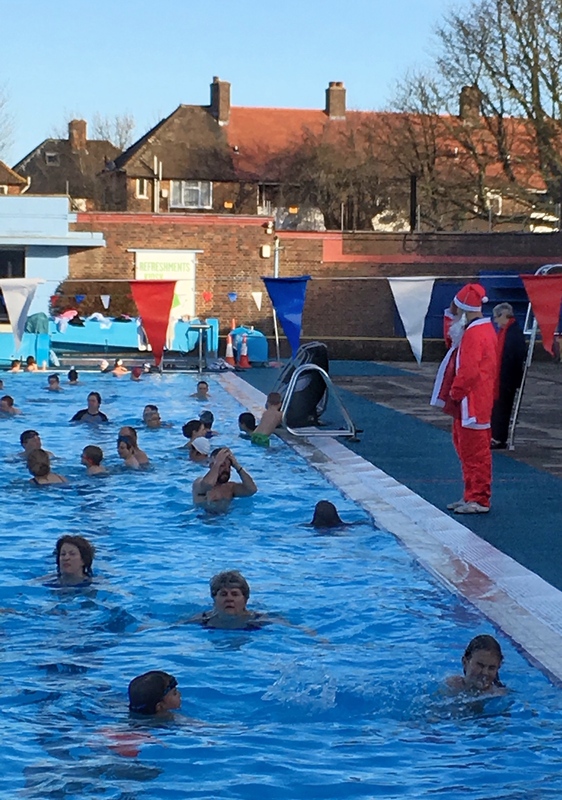 Swimmers enjoying the sunshine on Boxing Day last year. Thanks to Rosemary Leeke for the photo. Fancy a Christmas dip? 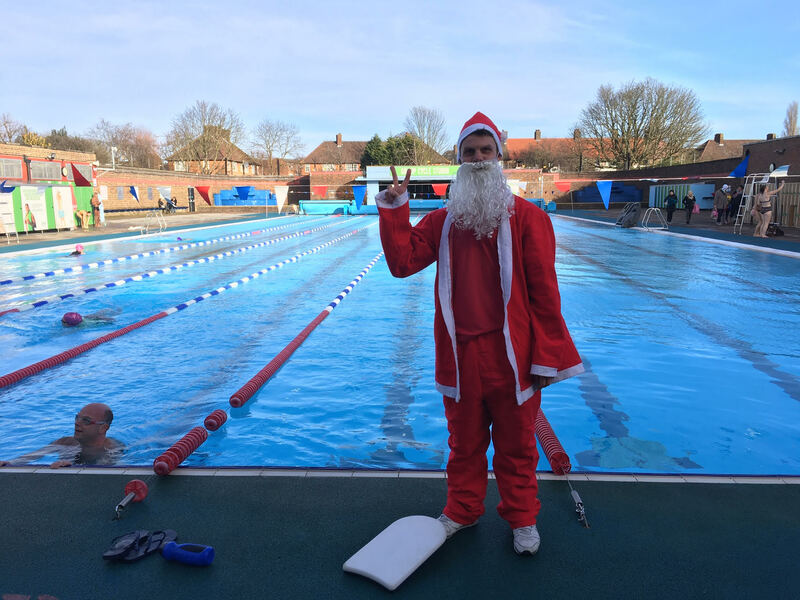 Charlton Lido will be open to swimmers looking to get some post-Christmas Day exercise – or just a splash around and some fresh air – this Boxing Day morning. The heated pool will be open 9-11am, and tickets can be booked in advance here (and are cheaper than paying on the door). Santa carrying out lifeguard duties on Boxing Day last year. Thanks to Fiona Veacock for the photo. Here is a round-up of the festive events The Charlton Champion has details of so far, but please let us know if you’re organising something that we’ve not spotted yet. Send us a message or leave a comment below, and we’ll update this list over the coming weeks. This afternoon (Friday 23 November) Charlton United Reformed Church’s Christmas Fair is running from 3.30pm to 6.30pm in aid of local charity Neutral Ground. On Saturday 24 November Pound Park Nursery hosts their Winter Wonderland from 10am to 1pm, head to the school for wintry treats, a raffle and extra special guests. 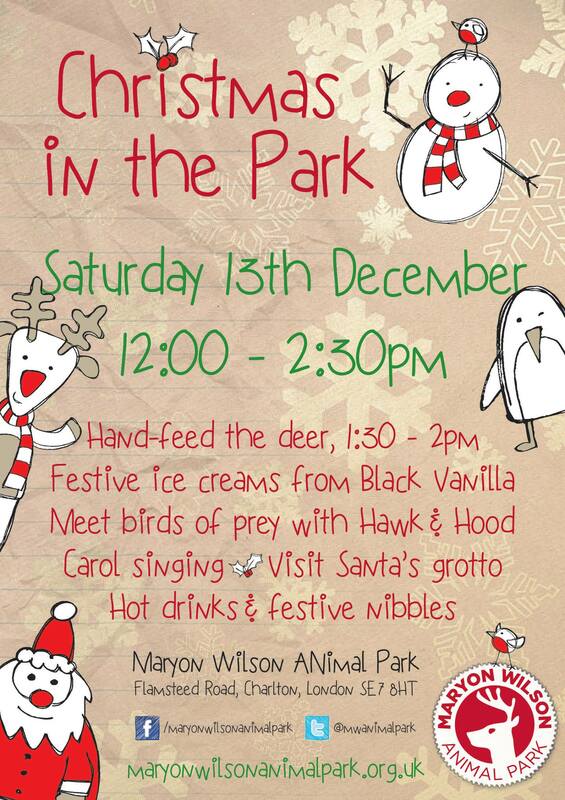 Saturday 1 December has Charlton Park Academy’s Christmas Craft Fair with choirs and kids’ activities from 10am to 2pm, and Maryon Park Community Garden has a Santa’s grotto with hot drinks, cacti, jams and chutneys from 12pm to 3pm. The Corner at 96 is open for Christmas on the 7th, 8th and 9th of December, keep an eye on their Instagram for further details. Charlton House has a number of events throughout December with festive pop-up card making on the 8th, carols and readings round their Christmas tree on the 12th, a Christmas brass band concert on the 14th, and finally on the 19th and 20th you can meet Father Christmas. On Sunday 9 December at 5.30pm, St Thomas Church presents their Community Christmas sing-a-long, song sheets will be provided and there will be a retiring collection. Friends of Charlton Park have a Mince Pies and Meet Up evening at 8pm on Wednesday 12 December at the Big Red Bus Club. Thursday 13 December has the British Oak pub on Old Dover Road hosting an 8pm Beer and Carols night in conjunction with St John’s Church, Blackheath. On Christmas Day The Old Cottage Coffee Shop in Charlton Park are running its annual Christmas lunch for the elderly and it need volunteers and donations for the day. Please get in touch in person or on Twitter.